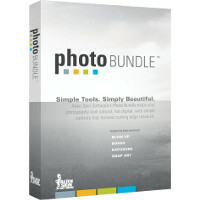 All of our Photography tools at HUGE SAVINGS! Each of these products enhances a professional workflow by improving image quality, saving time, and providing creative freedom. In combination, these products are even more effective. Of course, the sweetest enticement is the big savings you get over buying these tools separately. If you are not familiar with the beauty, simplicity, and power of these tools, then we have plenty to show you. The links below lead to videos, example images, case studies, and reviews. Take a look at the gorgeous results and see why reviewers love the Photo Bundle. If you already own some of these products, see our policies page for a further discount. Bokeh 2 provides a wide range of creative focus effects and accurate lens simulation in a simple interface. Photographers use Bokeh to draw attention to their subject by manipulating focus, vignette, and depth of field. Bokeh gives you the visual language of specialized lenses without the expense or hassle. Just drop a focus region over your subject and choose a preset or easily craft your own look. 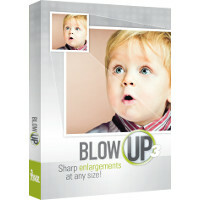 Bokeh 2 is dramatically faster, has multiple focus regions, motion blur, and a more flexible vignette. See the features page for all the improvements. Our careful research lets you reproduce the subtle nuances that make analog photography beautiful. With Exposure, your photo will look like it was made by a human, not a computer. We explored the entire history of analog photography to bring back diverse tools, from discontinued films to dark room tricks, covering both color and black & white. These techniques give you new ways to think about your art, express yourself, and stand out from people using typical digital tools. Exposure’s presets give you hundreds of starting points for developing complex styles. You’ll find nostalgic favorites like Kodachrome and Polaroid, plus obscure ones like Panatomic-X. To explore the full range of films, processes, and techniques try Exposure for free. In a single Exposure preset, many small effects work together to achieve a coherent look. For instance, realistic grain clumps together and is stronger in the midtones. The results feel real, even when the effect is not intense. Some Exposure looks are so subtle that people won’t consciously realize you altered your photo. To discover all the subtle details, our research included test shoots with films that were still available. For discontinued films we relied on photo archives and the professionals who created them. The anthropology of learning from film photographers was as important as the chemistry and math. Above are photomicrographs that we took while studying film grain. From left to right they are Kodak TRI-X 400, Fuji Velvia 100, and Ilford Delta 3200. Exposure’s presets are beautiful and diverse, but they are just starting points for your own unique style. If you discover a preset that sparks an idea, it’s easy to mold it to fit your needs. Save your new look as a preset with a name, category, and even include notes. Later, you can apply it to a photo (or batches of photos) with a single click. Renders realistic effects that are difficult or impossible to achieve in Photoshop alone, such as Fire, Chrome, and the new Lightning. Effects like Animal Fur, Smoke, and Reptile Skin are rendered in exquisite detail down to individual hairs, turbulent wisps, and shiny scales. Eye Candy helps you quickly explore and design looks. 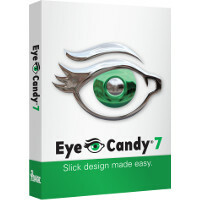 In Eye Candy 7, effects are chosen through easy to recognize icons rather than text menus. Presets are rapidly previewed by simply mousing over them. The theme is less clicking and more visual browsing. 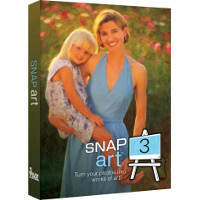 Turns your photograph into a beautiful work of art that looks completely handmade. Improved realism in version 3 keeps your subject natural and recognizable. The result is a finished piece worthy of printing on canvas and hanging in a gallery. See the features page for all the new improvements!